For residents of Huntsville, Texas, air conditioning is more than just a luxury – it’s a necessity. We’ve come to realize this throughout our 60 years of business in the area, which is why we take our air conditioning services very seriously. When you work with Beckham & Jones, you’re getting more than just an AC company – you’re getting outstanding customer service. As a factory authorized dealer of Carrier equipment, we offer industry-leading service both in the products we provide and the service our technicians offer. We’ll go the extra mile with any air conditioning replacement to assess your home, perform load calculations and recommend the unit that best suits it. If your AC unit is on the fritz or not turning on, give us a call today. We always have our trucks stocked with the right tools and parts to make most AC repairs on the same day – and our technicians are always standing by waiting to respond. If your repair can’t wait, we even offer 24/7 emergency service. Think of your air conditioner like your car. It needs routine maintenance to work well. 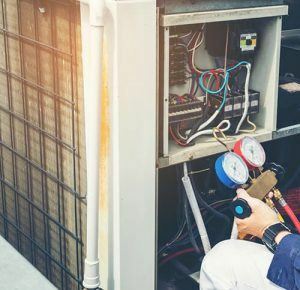 At Beckham & Jones, our air conditioning technicians are always ready to perform AC maintenance to ensure that your unit is in good working order. 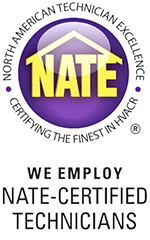 Upon arrival, we’ll conduct a thorough inspection, testing and cleaning of your AC unit, making adjustments or necessary repairs as we go. The best way to avoid costly AC repair is to have your unit regularly serviced. Allow Beckham & Jones to create a maintenance plan for you today. For more information on what separates Beckham & Jones from everyone else, contact us today.